The Grotta Cassone is a very straight 246 m-long tunnel that formed within a lava flow beneath the southern flank of Mount Etna in Sicily. The striking dark black basaltic rocks are over 8m high in some places and up to 10m wide, whilst the lava that has solidified on the floor has a corded, rippled texture. 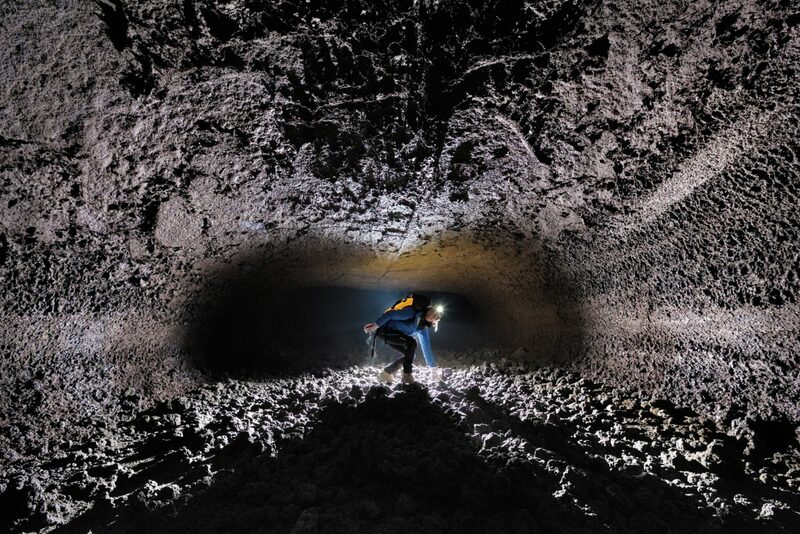 Many similar lava tubes have been discovered on Mount Etna as a result of road construction on the volcano.